Malicious spam (malspam) is by sent by botnets every day. 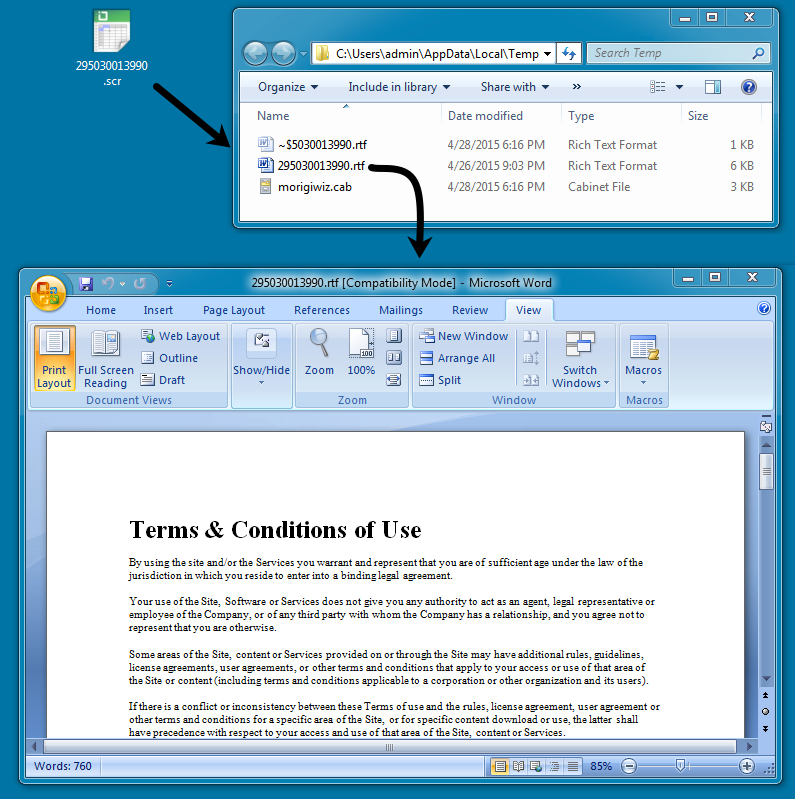 These malspam campaigns send malware designed to infect Windows computers. I'll see Dridex or Upatre/Dyre campaigns a daily basis. Fortunately, most of these emails are blocked by our spam filters. This diary concerns a recent malspam wave on Tuesday 2015-04-28 from a botnet pushing Dalexis/CTB-Locker. Dalexis is a malware downloader. It drops a CAB file with embedded document that's opened on a user's computer  then downloads more malware. 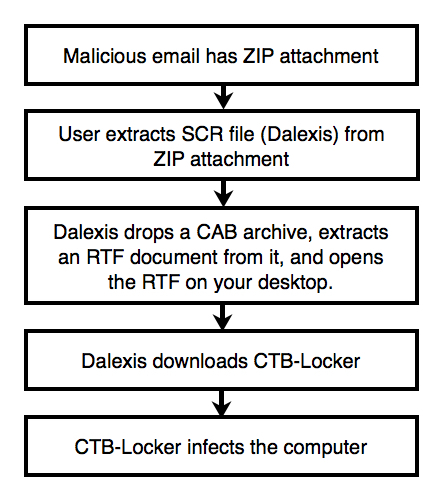 Dalexis is often used to deliver CTB-Locker . 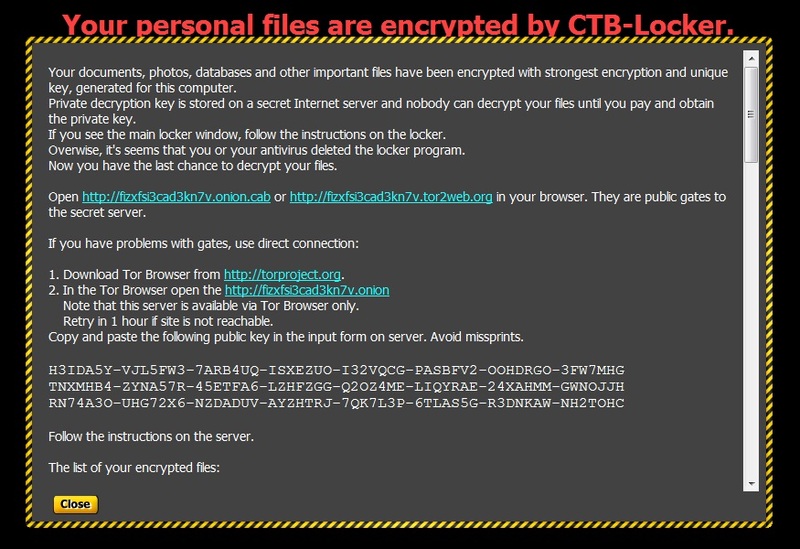 CTB-Locker is ransomware that encrypts files on your computer. 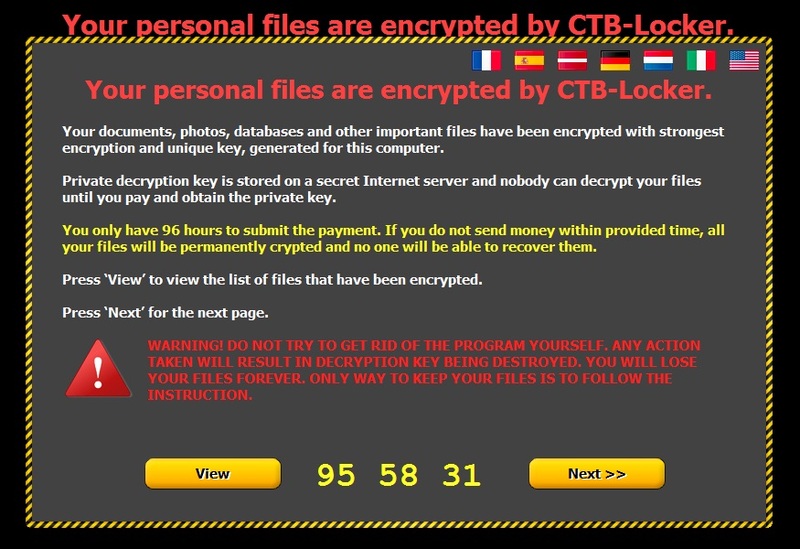 In exchange for a ransom payment, the malware authors will provide a key to decrypt your files. Behavior of this malware is well-documented, but small changes often occur as new waves of malspam are sent out. Had to download a Tor browser to get at the decryption instructions. 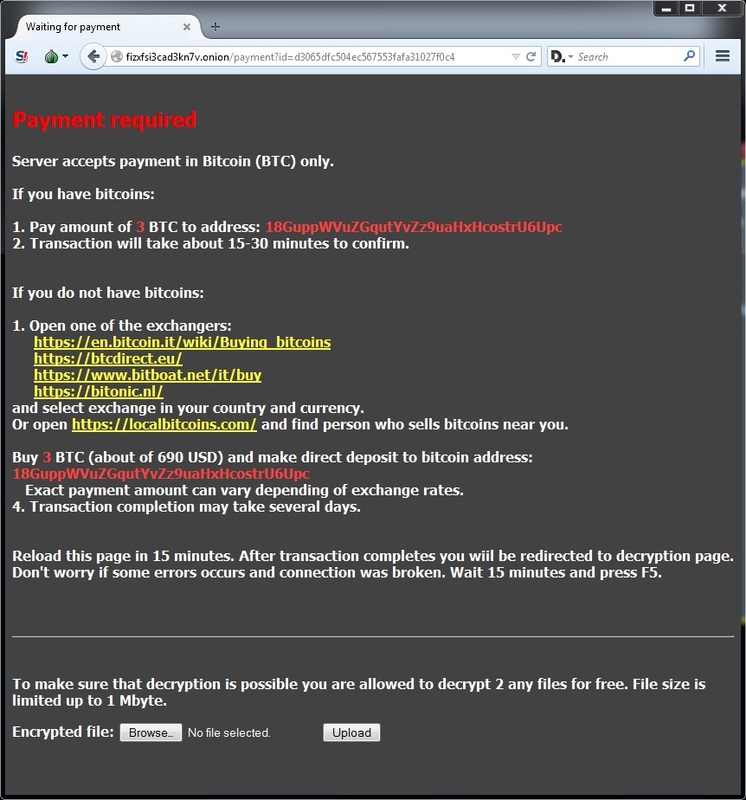 The bitcoin address for the ransom payment is: 18GuppWVuZGqutYvZz9uaHxHcostrU6Upc (check here to see if any transactions have been made by this bitcoin account). 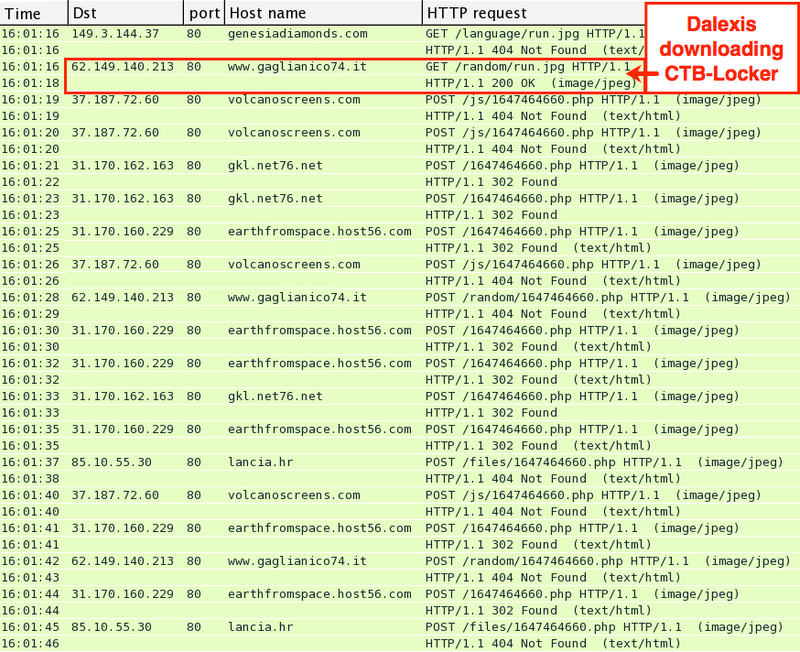 Dalexis uses an HTTP GET request to download CTB-Locker. The file is encrypted in transit, but I retrieved a decrypted copy from the infected host. Dalexis reports to a command and control (CnC) server after the malware is successfully downloaded. In the image below, you'll find HTTP POST requests to different servers as Dalexis tries to find a CnC server that will respond. This sample of Dalexis did 124 HTTP POST requests before a server finally replied with a 200 OK.
We detect unauthorized Login Attempts to your ID #295030013990 from other IP Address. Please re-confirm your identity. See attached docs for full information. NOTE: The emails contain various international names, addresses, and phone numbers in the signature block. NOTE: The sending email addresses might be spoofed. We recently started doing user education using phishme.com (shameless plug) and it's been paying off. Our users are paying more attention now and actually reporting phish. Also, the Outlook users now have a phishme-provided plugin so it's just one button-click to submit it to our ticketing system (where I get full headers - everything I need to dig the email out of the logs and pick apart any malware/URLs). Give a report I can usually find out who else got it (are they targeting specific groups of users), did anyone fall for it (searching DNS query logs for URL hostnames or hostnames the attached malware queries for), and proactively block any hostnames the malware uses for a 2nd stage download or an HTTP POST, etc.